On Tuesday night, the under 21 European Championships drew to a close with Sweden being the eventual victors beating Portugal on penalties in Prague. Including the winners, the tournament threw up a number of surprises and shone some players onto the world radar. This is our team of the tournament. One of the best beards in world football. In the opening group game against England, Sa looked shaky from whatever he had to deal with. From there, he went from strength to strength and grew to be one of Portugal’s most important players, keeping four clean sheets in five games, conceding just once across the whole tournament. Sa did have a strong defence in front of him, half the reason he looked so good. A comfortable shot stopper, but for someone who is already 6”4, his aerial ability is poor. If there was any area that would, and did trouble him, were crosses into the box. This was highlighted in the England game where their only option was to spread it wide and put crosses in towards Harry Kane. Lindelof, like the rest of the Swedish team, was relatively unheard of going into the tournament this summer. Interestingly, he wasn’t in the original squad for the tournament and was only brought in at the last minute due to injuries. Starting four of the five games, Lindelof proved to be one of Sweden’s biggest attacking threats from deeper positions. As well as this, he was also very adapt defensively, most notably in the final stopping the attacking Portuguese left-back, Raphael Guerreiro. Let’s not forget, he also scored the winning penalty in the shootout to claim the under 21 European Championships for the Swedes. At 6”7, Vestergaard is always a presence in whichever team he plays for. This summer was no different. In the heart of the Denmark defence, Vestergaard proved to be one of the better defenders in the tournament. He was one of the main reasons Denmark topped their group, but will be disappointed that they didn’t progress much further, losing in the semi-finals to the eventual winners Sweden. His height and strength were his key areas of strength, which does mean he lacks pace. The Danish captain led the team by example and was unlucky not to make it further in the tournament. Breaking into the Portugal first team earlier on this year, Oliveira was one of a number of the Portugal side that came to the tournament with bags of experience. Oliveira was arguably the best defender in the tournament, commanding from the back in a Portugal side that only conceded once in the entire tournament. The epitome of the modern day centre back, Oliveira looked extremely comfortable on the ball and was the main reason Portugal kept so much possession and started attacks from deep. Not overly effective in the final, Guerreiro was one of the key driving forces behind the Portuguese attack all tournament, with bursting runs down the left hand side. 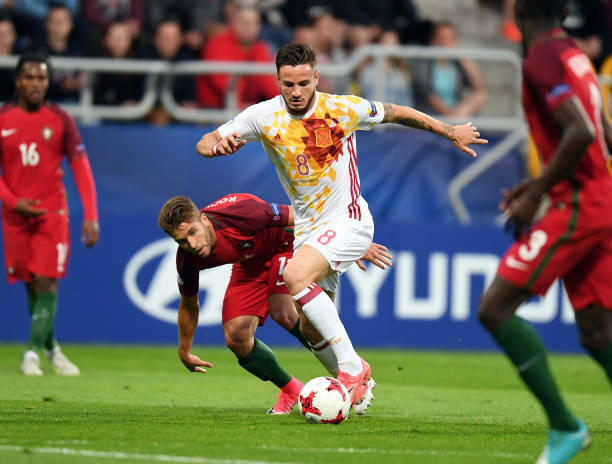 Named in the UEFA team of the tournament, Guerreiro has since been attracting attention from a number of top European sides, His style very much suits the attacking full back used in the modern day, but did lack a plan B. In the final, when halted by Nilsson-Lindelof, the Swedish right-back, Guerreiro struggled to get into the game. If he can continue to develop himself defensively, he will go on to play for some of the best sides in the world. One of the most experienced players to be in the tournament, with 13 senior caps already to his name, the man being touted with everyone in Europe had an outstanding tournament. 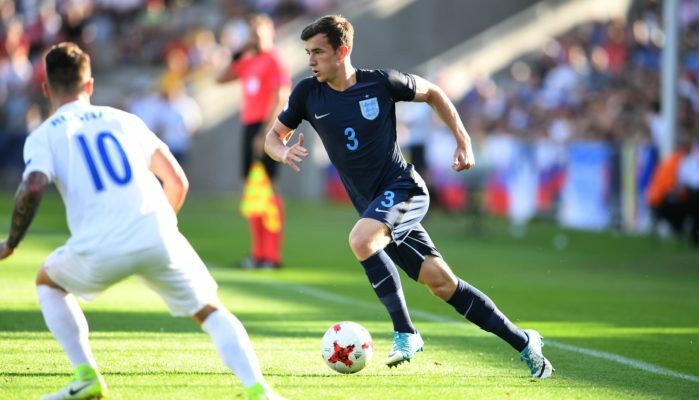 From the first game against England where he totally dominated the centre of the pitch, through to the final where he managed to look so composed throughout. In what was a very talented midfield, Carvalho stood out as the main force and brute in the middle. Carvalho, along with Oliveira in the midfield, sat deep and allowed some of Portugal’s more attacking players to flourish, which was particularly highlighted in their 5-0 drubbing of Germany in the semi-finals. Carvalho’s class was rewarded with the player of the tournament. Yet another Portuguese player, Oliveira was a rock alongside Carvalho in the middle of the park. As the captain, people looked to Oliveira in times of need and he duly delivered. Just like Carvalho, he didn’t contribute to any goals, but their play and combination allowed for the rest of the attacking talent to play their natural game higher up the pitch. Oliveira had the highest pass completion percentage in the whole tournament for a midfielder, and this just highlights what he brought to the Portugal team. I don’t think Khalili got a huge amount of plaudits throughout the tournament, but from watching him I thought he was class in the Sweden midfield. With his crazy haircut, Khalili started the opening game against Italy in a wide position. Following a red card to the Sweden centre-back, Khalili moved central and controlled the game as they came from behind to win against all odds. He looked confident on the ball, strong, powerful, and became a driving force in the winning side. He did miss his penalty in the final, but it didn’t affect the outcome and Khalili was one of my favourite players to watch in the five games. There has been a lot of Portuguese mention but this guy tops the lot. One of the players to watch out for going into the tournament, he didn’t disappoint and the man from Monaco became a huge character in the Portuguese side. A regular in the Monaco side made him one of Portugal’s key players and he ran the show almost every time he stepped out there. His only goal came in the 5-0 win over Germany, but his overall performances made him the stand out man. A large percentage of their goals came from his involvement and with Carvalho and Oliveira behind him, Portugal easily had the best midfield in the competition. Before the tournament, Volland has had years of speculation from the major teams in Europe. I don’t think this tournament has changed that at all. 2 goals and 1 assists in the tournament made him the second highest goal scorer and the joint highest goal contributor across the two weeks. The whole Germany team went missing in the semi-final against Portugal, but it was the second game of the group stage that showed Volland’s true class. Two quality goals including a class free-kick to see of the tournament favourites in Denmark. Finding out he’d been released by Manchester City, no one was quite sure how Sweden would do with Guidetti leading the line. Like so many in this team, he led from the front from the first minute of the tournament to the last. Just from watching him on the pitch and after matches with the fans and teammates, you could tell how big a character he was in the dressing room for this Swedish team. I’m sure with two goals to his name and the character to match that the 23 year old will have a number of suitors this summer and could be one of the bigger football transfers. Honourable mentions must go to top goal scorer Jan Kliment who scored a hat-trick against Serbia to end in that position and Emre Can who I felt, during the group stage, controlled the games for Germany and showed Brendan Rodgers that he is a midfielder and not a right back. No surprise to see no England players. 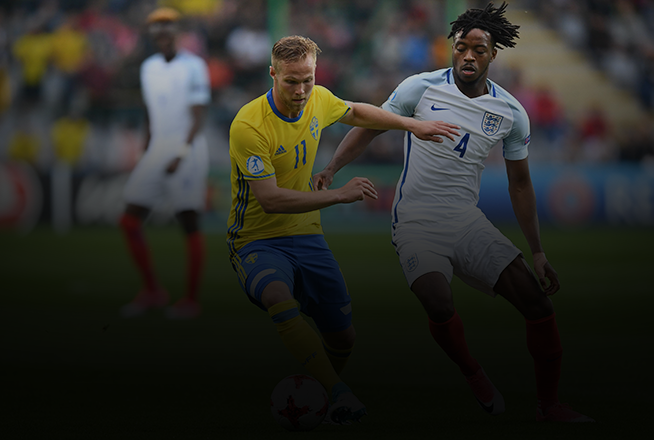 Read all our U21 European Championship articles here.